Ian Lancaster Fleming was an author, journalist, and naval intelligence officer who is best known for his James Bond series of spy novels. Fleming came from a wealthy family connected to the merchant bank Robert Fleming & Co., and his father was the Member of Parliament for Henley from 1910 until his death on the Western Front in 1917. 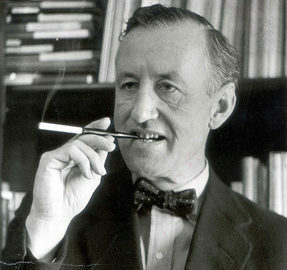 Educated at Eton, Sandhurst and, briefly, the universities of Munich and Geneva, Fleming moved through several jobs before he started writing.